Jorhat is and always has been a busy commercial centre. Tea production apart, the land is famous for its contribution in the field of jewelry making. Jewelry items from Jorhat are fine specimens of their tradition. Since it maintains its vibrant and colorful tradition, you will find that it reflects in their jewelries as well. If you are planning to spend your vacation in Jorhat, ensure that you cover all those places that portrays Jorhat in its most vibrant colors. Here is a list of top places to visit in Jorhat. Tocklai Tea Research Centre is amongst the world’s largest as well as oldest tea research stations. Established in 1911, the centre has helped the world gain more scientific knowledge on tea. Various researches on the cultivation and processing of tea are conducted here. The centre aims to enhance tea’s nutritional value and conducts researches towards achieving it. The eight research departments of the centre are soil, plant production, agricultural economics, botany, agronomy, biochemistry, engineering and manufacturing, statistics and tea tasting. Sukapha Samannay Kshetra, constructed in memory of Ahom’s first king, is one of the sites that is of archaeological importance. Going by Ahom tradition, Sukapha was god Khunlung’s descendent. Excavation to unearth remains of the kingdom is being done here. Bangalpukhari, the water tank in Jorhat’s south, was constructed in 1739 by Rupsingh Bangal. Badam Barphukan, a notorious governor of Ahom, who had tortured the people as well as the Burmese soldiers he had captured, was killed by Rupsingh Bangal. He was rewarded for his bravery. Using the money he received as a reward, Rupsingh Bangal built the water tank. However, the natives of the land do not use the water tank apprehending bad luck as it was built using the money received for the act of killing a fellow human being. Cinnamora Tea Estate, which is Assam’s first tea estate, was established in the year 1850. It is situated at a distance of 10 km from Jorhat. Lachit Borphukan of the 16th century is considered the bravest general of Ahom dynasty who defeated the mighty Mughals in 1672 at Saraighat war. Lachit Borphukan’s Maidam was constructed to honor the great warrior. Thengal Bhavan owns the credit of being the site from where the first daily newspaper in India was published. The Bhavan was constructed by Raibahadur Shiva Prasad Barooah in the year 1880. The year 1929 saw the establishment of printing press in the site by him to enable printing of weekly newspapers in local language. He proceeded to start a daily newspaper, which is the first of its kind in any language in India. 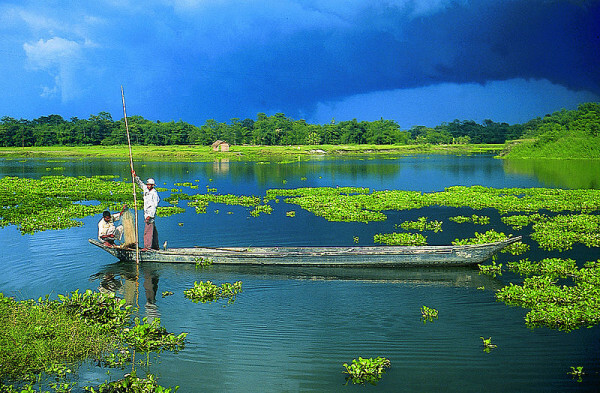 Jorhat is a great destination to be on your holiday. With tea plantations in plenty offering pleasant views to your eyes and the busy activities to highlight the business face to the region, you will sure love the perfect blend. 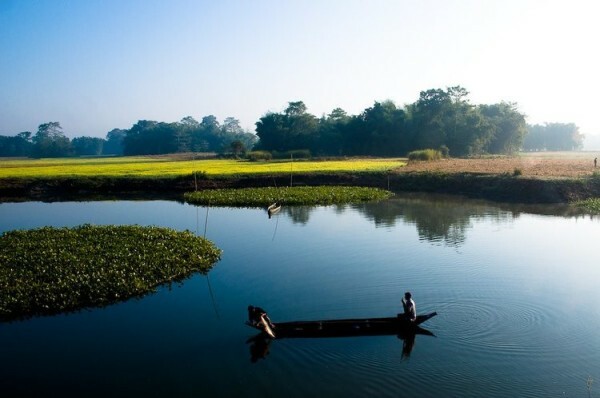 Tourist places in Jorhat offers you a relaxed and quiet holiday where you will be amidst nature enjoying looking into the rich historic past of the place. Image by Monsoon Lover, agnipinda, Arindom Sonowal under CC License.